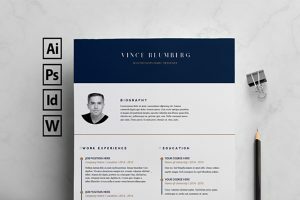 In this article, you will find free receipt templates that you can use in your business, so your customers have a proof of payment. Running a business makes you a wearer of many hats at once. 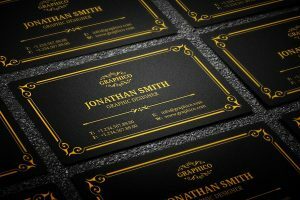 So, you should be a designer, photographer, marketer, bookkeeper, and salesman. 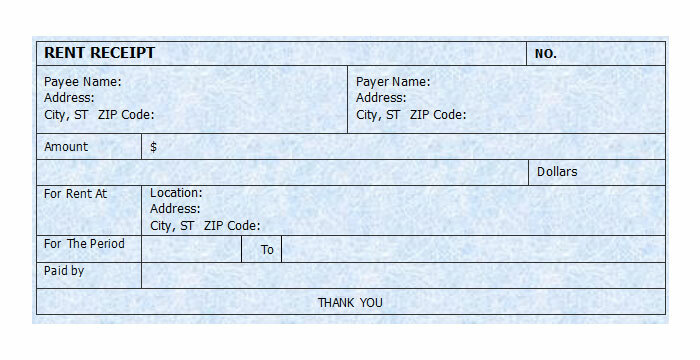 When you get a payment from a client, for example in cash, you need to provide him a receipt. So, what is a receipt? 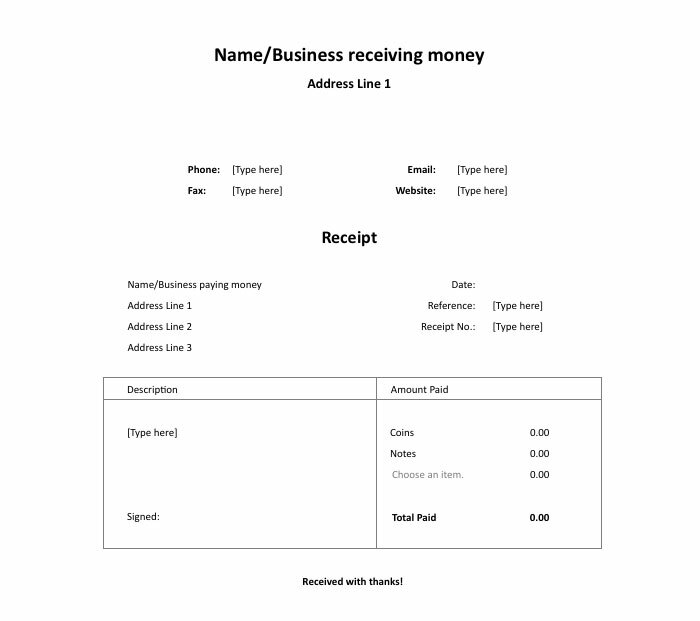 A receipt is a written by hand or created on computer document that states you received money from your client. You don’t need to create a receipt by hand each time you get money. This process takes a lot of time and effort. You can use pre-made free receipt templates for Microsoft Word and Excel which will help you to speed up the process. In this list, we have put together 25+ receipt templates you can download completely free! 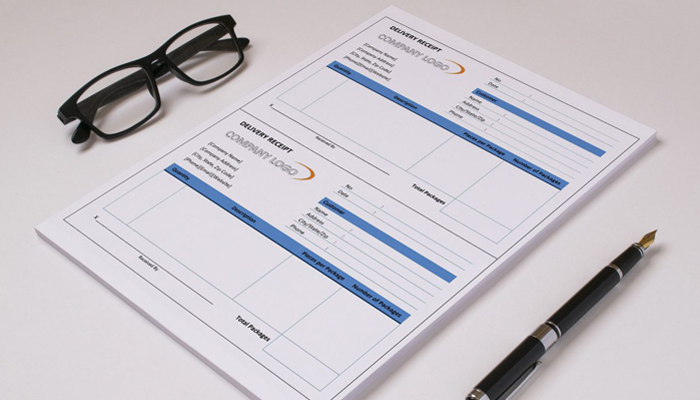 Just choose the one which will fit you best, for example, rent receipt template or cash receipt template. Delivery Receipt proves that a client has received products which he has ordered. There is no standard format os this document so that you can use this template, just make sure to change the logo. 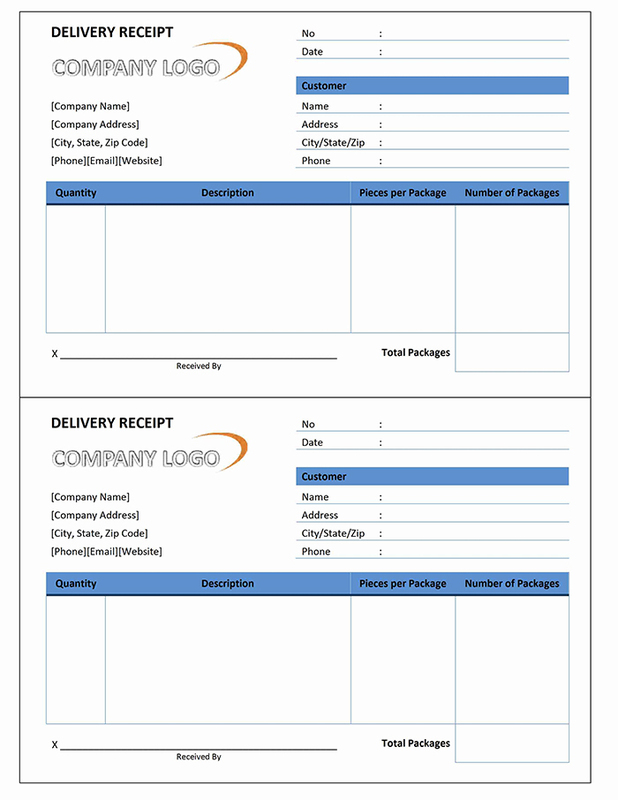 Here is one more delivery receipt template in beige color with white separated files. 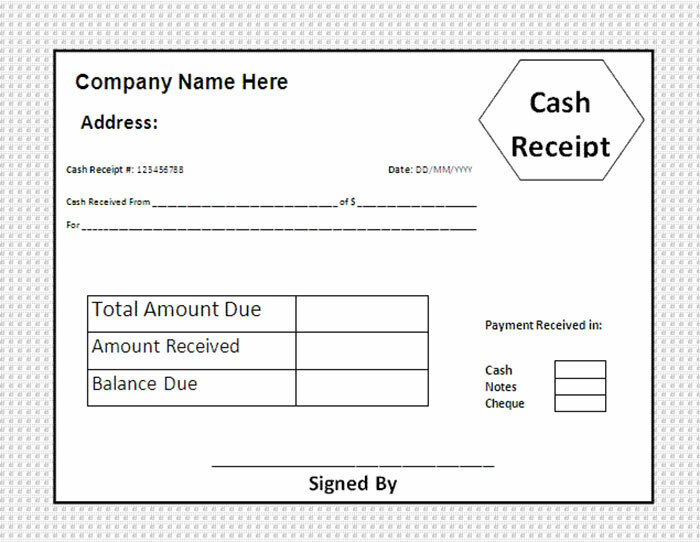 Cash Receipt is a document that proves that you or a client get cash. 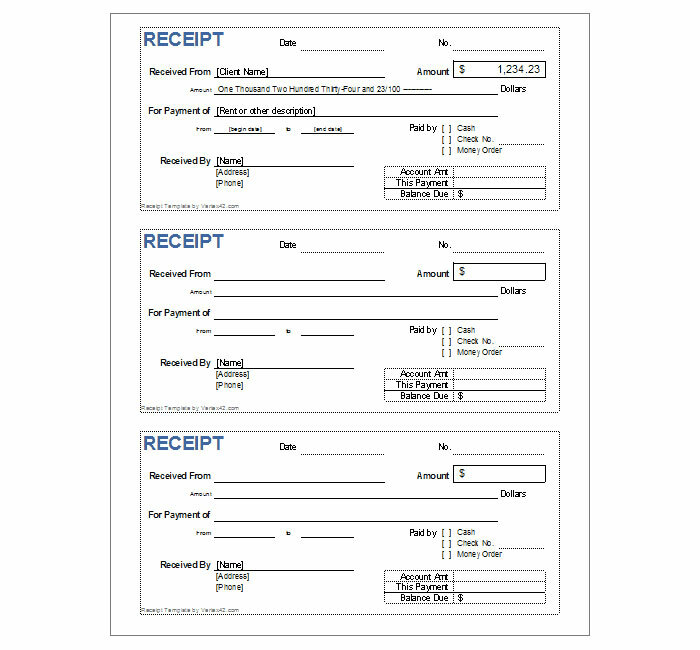 This is a simple, clean cash receipt template. A delivery receipt will help you to keep an eye on goods you have sent to your customers. With this document, you can be sure the goods are received. 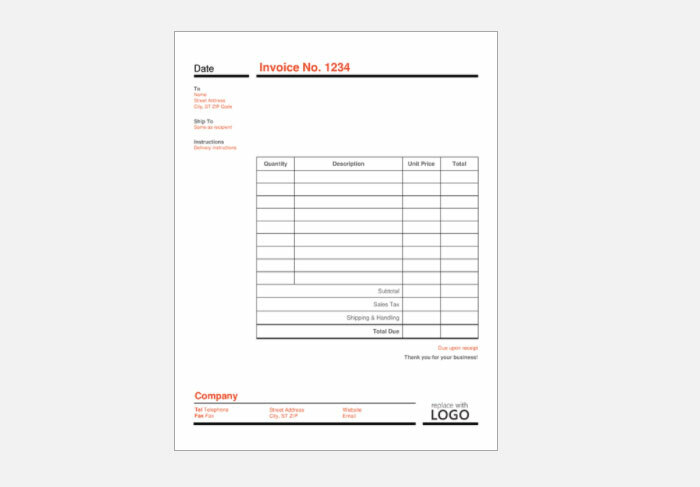 This is a minimalistic, clean cash receipt template featuring company name, address, total amount, the amount received, and balance. 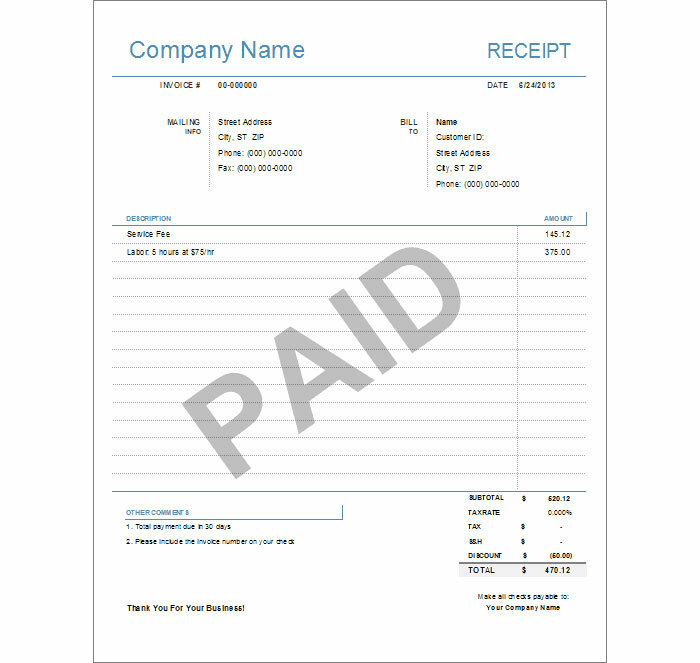 This is a complete cash receipt template to ensure your clients have paid for your products. It can be used in Exel, OpenOffice, and Mircosoft Word. 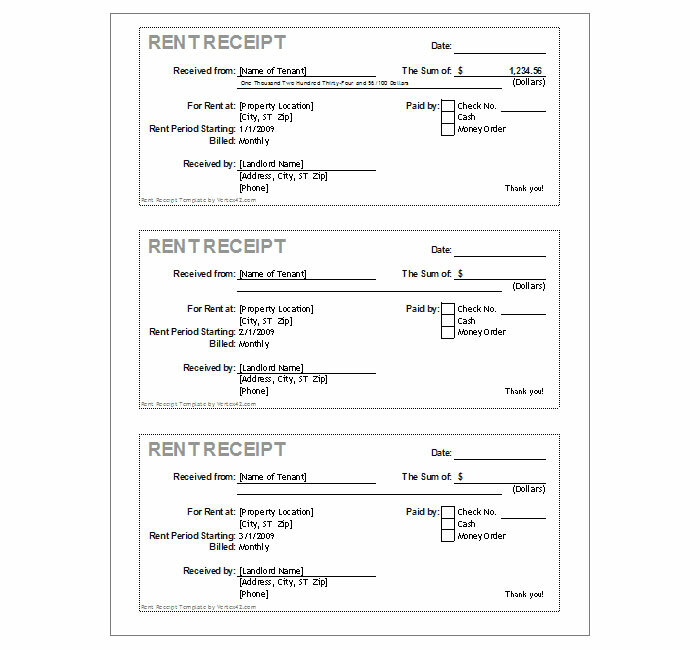 Here is a simple rent invoice with two copies per page. 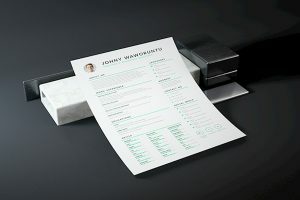 This document is designed to make sure a client has paid his rent. 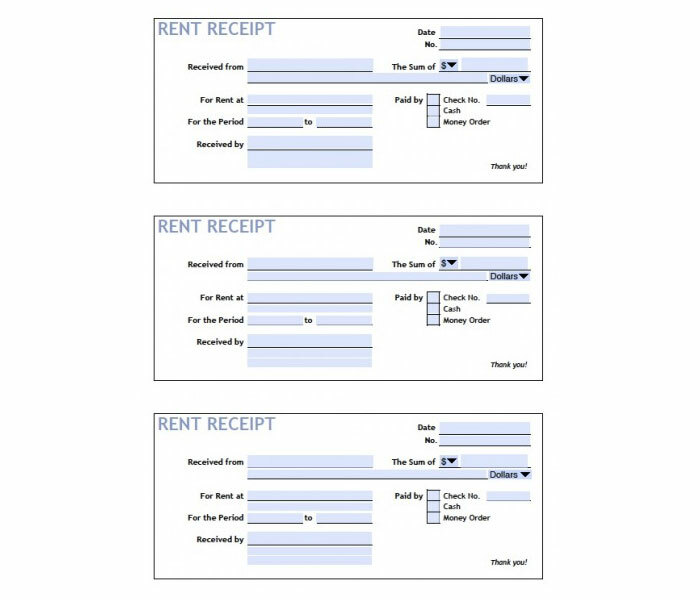 This clean rent receipt has the following fields to fill: date received from, the amount received, type, and address. When you get rent payment in cash, in most cases, you need to give a receipt. Here is a modern gray and black receipt template you can use. Sales receipt you see here is designed to make information about transactions clear and readable. The fields with transactions are separated. 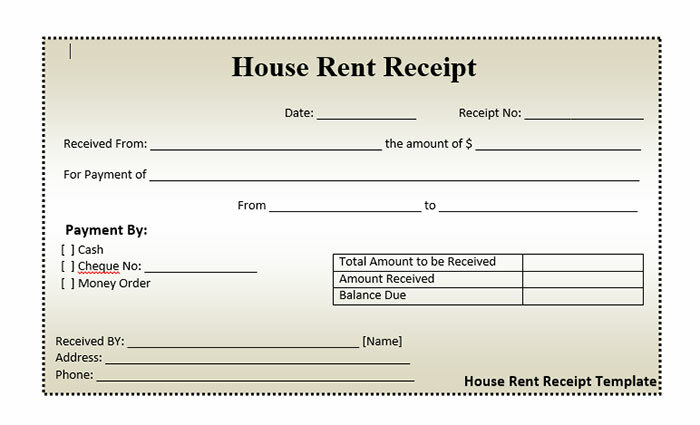 This rent receipt contains the following fields: Date of Payment, Time, Amount, Landlord Name (or Company Name), Tenant Name. 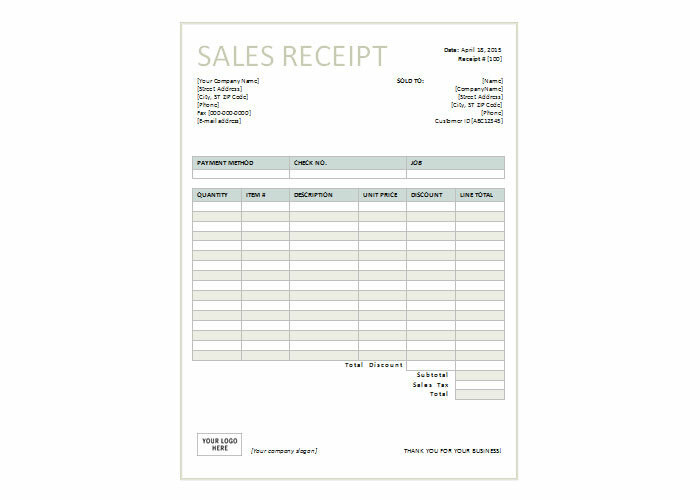 You can download this sales receipt in Microsoft Word format. Also, you can access the template in Google Drive. 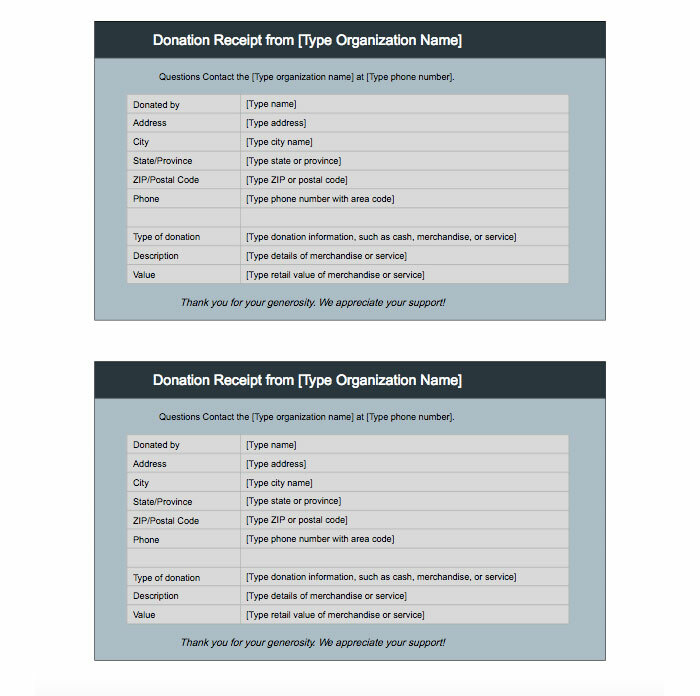 This is a donation receipt which is proof that a donor has contributed to a non-profit organization or a person. It has all necessary fields. Charity donation can be made in the form of cash or items. 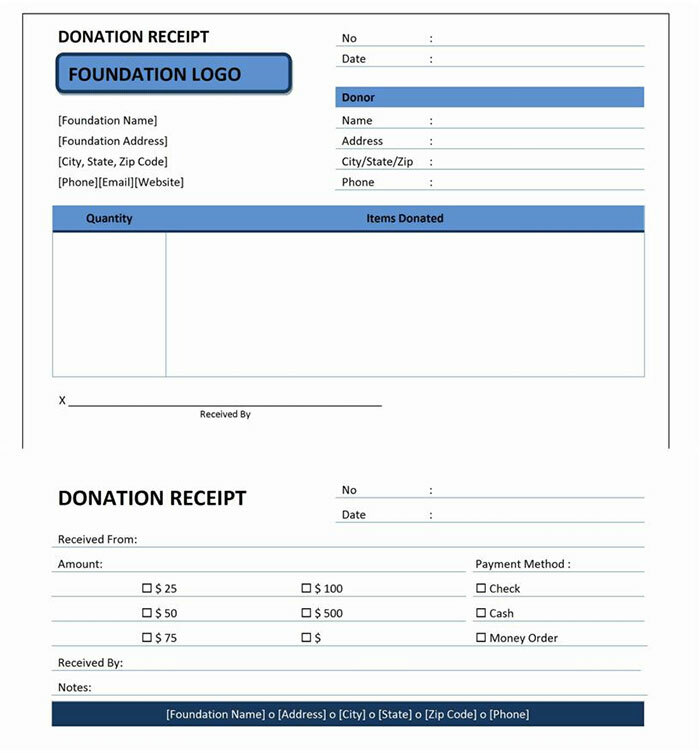 This template will help you prove that a donation was received. To make purchases transparent such kind of receipts are used. 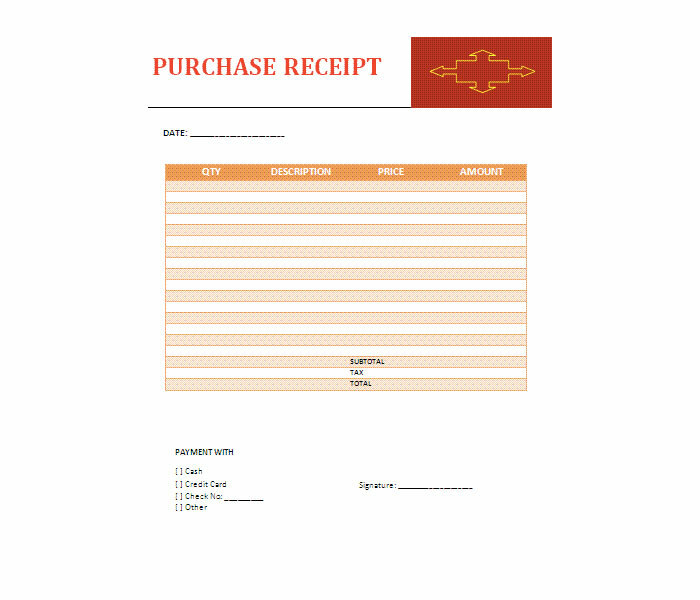 You can download this purchase receipt template in orange color for free. 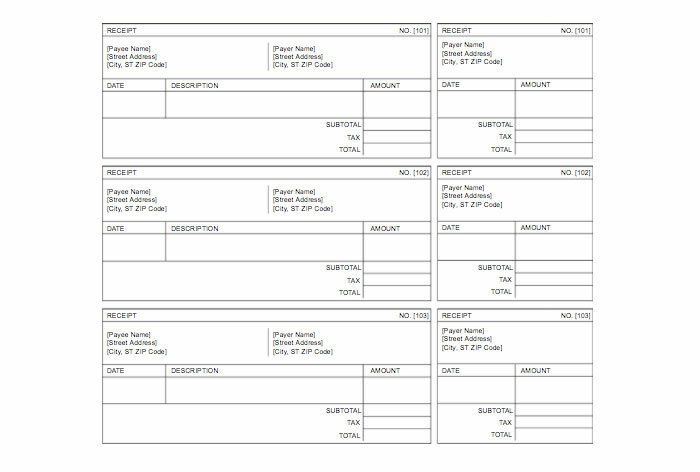 If you don’t use some particular type os receipt, this template will come in handy. Here is a clean black on the white receipt for receiving goods or services by a client. 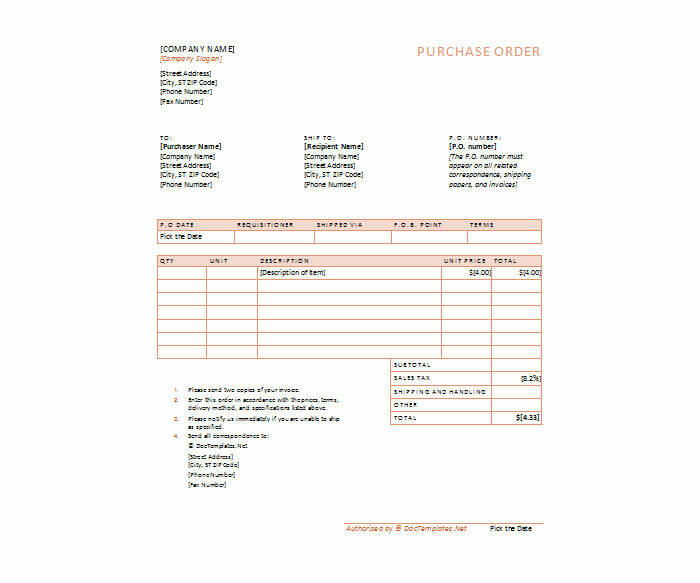 This amazing template will help you to create a purchase order in a minute or less. The set has three different editable versions. 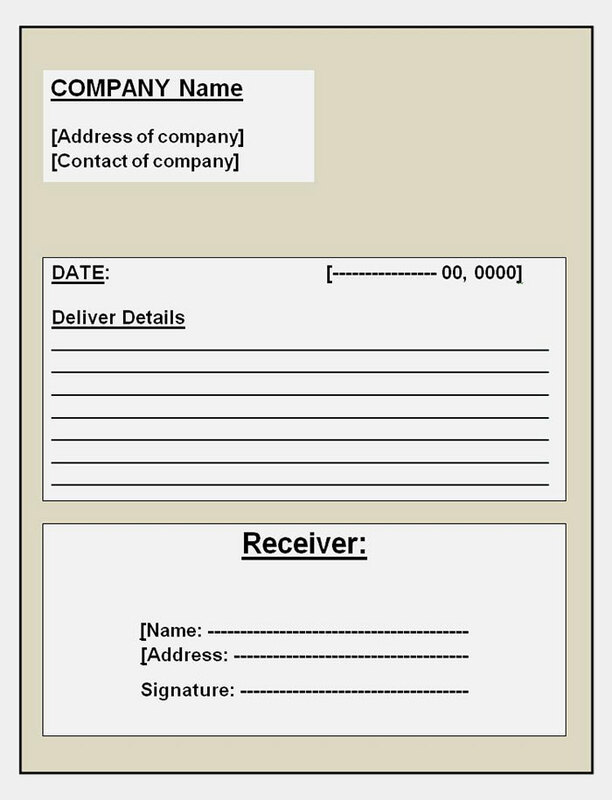 Usually, an invoice is a document which you send to your client asking for payment for the job you have already finished. 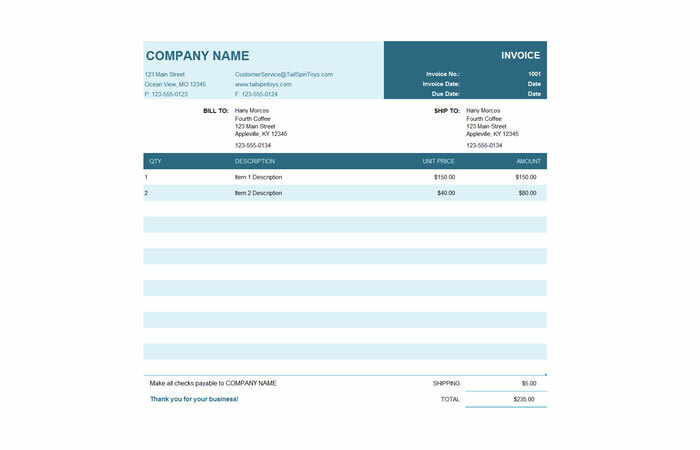 Here is a simple business invoice you can use. 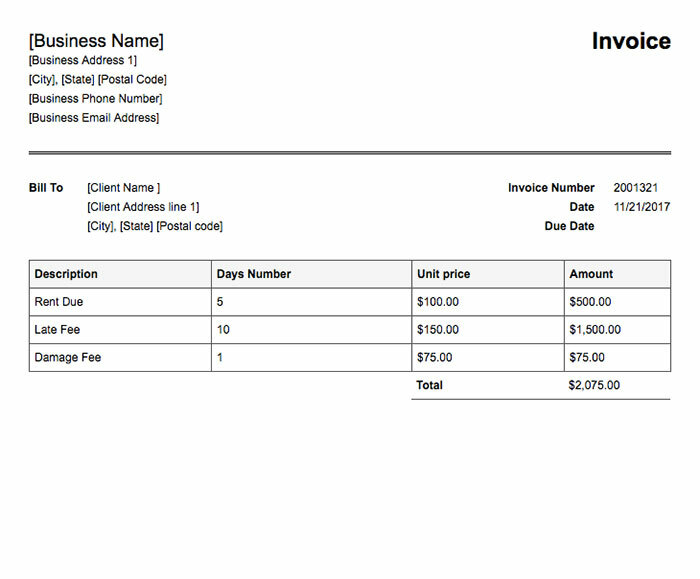 Here is a primary invoice which will automatically calculate line amounts and show you a total amount of money. 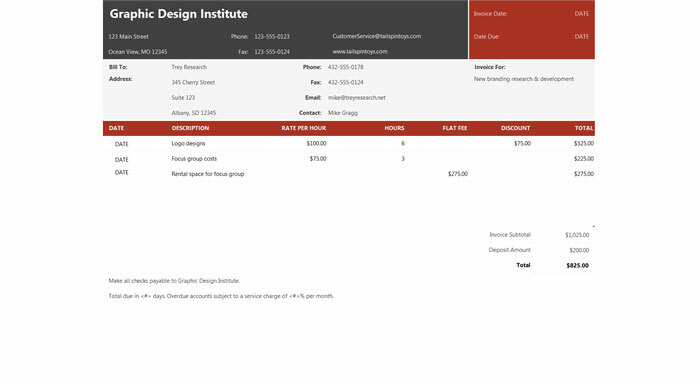 Here is an invoice for services designed in black and red colors. This template is fully editable. You can adjust it in browser or Exel. 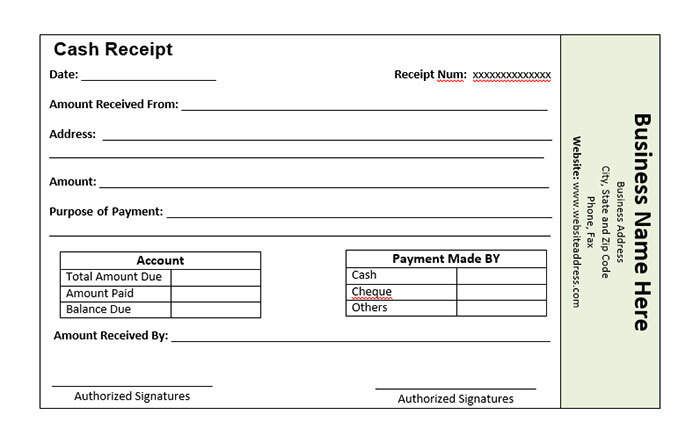 Payment receipt is a document created by company or client after the payment is received. It helps to protect both parties about the amount of money paid and received. 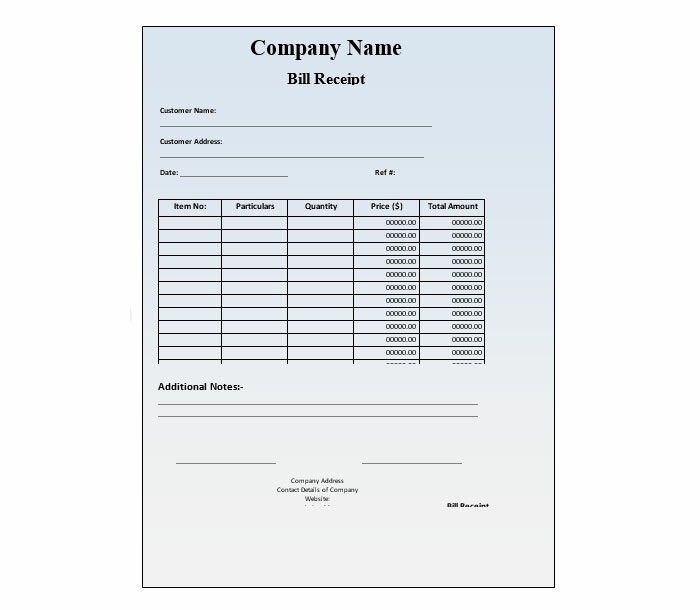 Bill Receipt Template is a document provided to a client by a supplier when bills are received. It’s similar to a cash receipt. 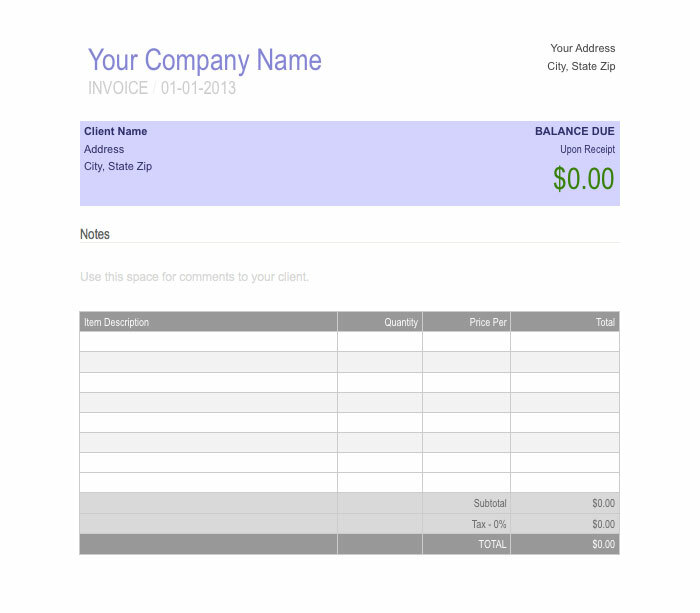 If you don’t feel like using Exel for your receipts, use this simple Word template. It can be used as cash receipt. House rent receipt is a proof that a tenant has paid a specific sum за money to a landlord on precise time. Here is a basic rent template you can use. 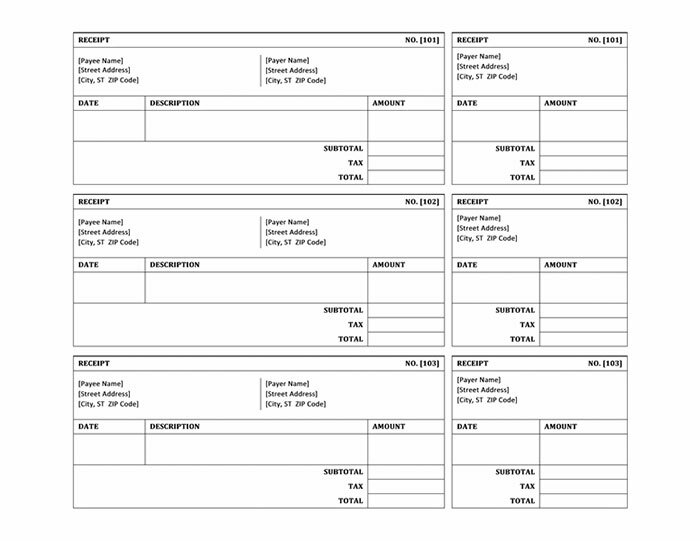 Here is a free basic invoice template easy to edit in Word. It has a neat, professional design.